The Library circulates a variety of devices and kits. Check one out with your library card today! 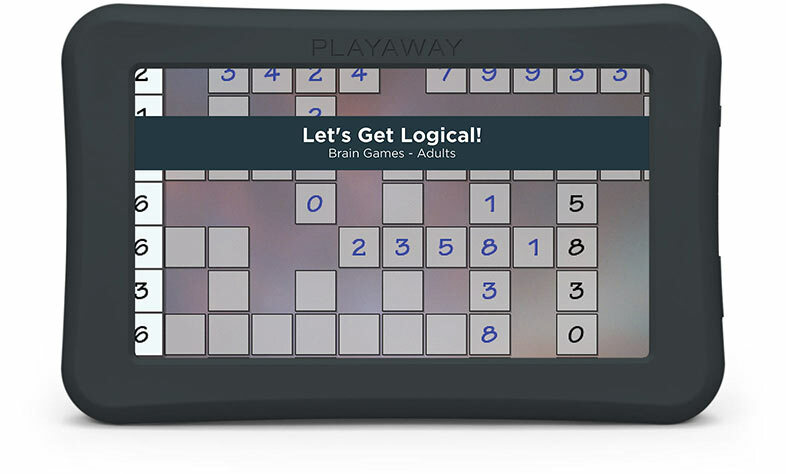 Check out a Playaway Launchpad tablet, pre-loaded with interactive content. Easy to navigate and use. No download time. No need for Wi-Fi. 100% secure. There are 5 different Launchpad tablets available to borrow: Brain Power, Crossword Workout, Learn English Phrases, Mind Games, and You've Been Sudokued. Look for the empty Launchpad cases in our AV room, and bring to the Circulation Desk to borrow them. Borrowing limit is 1 per patron. Borrowing time is for 3 weeks. Launchpads cannot be reserved or renewed. Must be returned to a staff member at the Circulation Desk (not in our book drop or at another library). Roku streaming media device allows you to log into the Library’s Vudu account and watch dozens of movies, with more added every month. These devices cannot be reserved. Check in our Movies section for the Roku cases (we currently have four). If you find one, bring it to the Circulation Desk to borrow a device. They circulate for 7 days, may not be renewed, and must be returned to a staff member at the Circulation Desk (not in our book drop or at another library). A Wi-Fi connection is needed to use both kinds of Roku devices. Ready for some binge watching? Check out one of our Binge Boxes and get four or five movies for three weeks. Binge watch movies featuring your favorite actors, directors, and genres. We create new binge boxes every three months. Check in our Movies section for Binge Boxes. Several movies in one case, along with a complimentary bag of microwave popcorn! Each Binge Box is set for a 21-day loan, with no reserves and no renewals. Overdue fine is 15 cents per day. Find the Binge Boxes in the catalog here. This collection is made possible by the Friends of the Barrington Public Library. No internet? No problem! Check out the internet from your library. Borrow a hotspot for 3 weeks with your library card. We have 5 hotspots to lend and they are available at the Circulation Desk. Borrowers must be 18 years of age or older, and an Ocean State Library card in good standing. Only one hotspot may be checked out to the patron at any time. There is also a Borrower Agreement that must be completed prior to borrowing. Hotspots must be picked up at and returned to the Barrington Public Library Circulation Desk during business hours. Check for availability here: Mobile Hotspot.